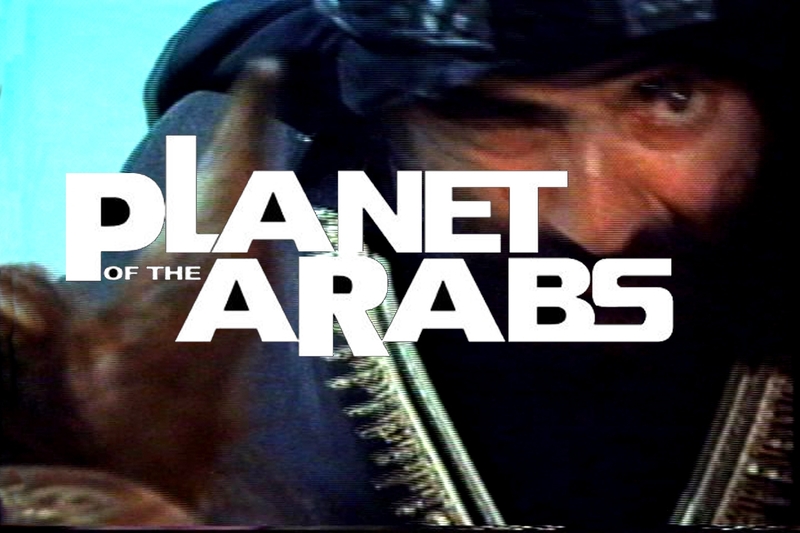 To watch Chuck Norris in an 80’s B-series movie spitting food at and insulting derogatively the whole Arab and Muslim world produces a mixture of astonishment and embarrassment. It’s one of the 1000 films that director Jaqueline Reem Salloum, American of Palestinian and Syrian descent and resident in New York, has edited to create a short film showing the generalized negative image depicted by Hollywood when it deals with the Arabs. Out of those 1000 films, 12 of them projected positive images, 53 neutral, and the rest, an unquestionable majority, negative images associated with violence and inhumanity. Supported by a metal rock soundtrack whose noise gets confounded with the unavoidable terrorists’ bullets, it is a healthy and sarcastic critical approach to a Western consolidated mirage, understood this concept as “negative and distorted opinions of the Other valuing their culture as inferior”.